This is a sequel to my previous column. In an utterly unclear and uncertain, yet potentially explosive endgame, pieces that are being moved and re-moved on the political chessboard, seem to be many and diverse. Who is moving and who was moved is now obvious. The much-talked about reshuffle became an anti-climax of shameful proportions. Once again, our political leaders have resorted to the easy way out. Band-Aid solutions are the refuge of the mediocre. They promise instant relief of pain and discomfort. But their temporary nature is known only to the manufacturer of Band-Aid product. Complex issues and malignant diseases are not cured by simpleton-remedies. Defeat for the governing party at local government elections is not the norm. It is an exception. By-elections are different as they are held for parliamentary seats and, more often than not, are held as a referendum on the sitting powers. People vote at the local government elections as a means to strengthen their chances to ‘get things done’ at the local level as it seems that the governing party could help each local authority if the power in the local authority is held by those who represent the governing coalitions. Yet the current coalition government managed to convert the recently held local government elections into a referendum on the continuance of their power at the center. Clever politicians who are in power have learnt not to offer the electorate a binary choice. It always goes against the power holders. It’s the opposition that gains from a binary choice because the opposition manages to define the issues in their own terms. It is a fundamental in politics in general and in electioneering in particular that the party that controls the national conversation controls the election issues. In the absence of an aggressive media thrust, tumbling of control of discussion to the rival is normal. It is this fundamental aspect of politics that the Ranil/Maithri duo have not understood, it seems. R Premadasa was a master of controlling the national discussion and in the current global context, Donald Trump showing how it could be done even to a crude end in a cruder manner. Lalith Athulathmudali too in the United National Party (UNP)-led government, time and time again proved the validity and incalculable advantage of control of the national conversation. Examples and precedents are aplenty and many. One has to learn from such mind-expanding experiences. Instead, it seems that our leaders have got bogged down in retail politics, without being proactive, always reacting to the opposition. This mind-screwing exercise has crippled the nuanced aspects of political thinking, making them total slaves to meandering beings with no clear view of their journey and no clear objectives at the end of such meaningless journeys. It is indeed a tragedy beyond compare. When textbook precedents and modalities are available at their bidding, why these so-called experienced political leaders don’t avail themselves of the wisdom of such clever modus operandi could be sourced only to one inescapable reason: deliberate casting aside of such methods and means due to the insecure and brittle structure of their own weak minds. In such unfortunate circumstances, the brighter and bold ones would resort to extremely innovative measures, which to some observers appear as bordering on political adventurism. Yet action needs to be taken on an urgent basis as a non-political matter. It is in that sphere of political calculus the current reshuffle of the Cabinet of Ministers is being observed. The internal adjustments and revamping of the workings of each Party, namely the United National Party and Sri Lanka Freedom Party are on the table, so to speak. Both political parties are being manned by politicos at the highest levels. The SLFP had been following that pattern from their birth to date. However, the UNP, after JR Jayewardene took over its reins, departed from its traditional path and he introduced a novel system of the key portfolios of the party machinery being handled by non-politicians who did not have a vested interest in who becomes what Minister and who wouldn’t. That division, a clear and unambiguous disunion between those who run the government and those who run the Party lent a rich and distinct character to the structure of a political entity bent on coming to power and sustaining it on a very scientific and modern footing. Being burdened with numerous tasks and demands on their respective portfolios, a Minister has hardly any spare time to attend to his own personal family matters. How the heck he finds the time to run the administrative affairs of his political party with no prejudicial interests riding into his decisions and unforgivable procrastination of crucial decisions that need to be taken in regard to appointment of an organizer in this district and another party sympathizer that needs to be taken is beyond the pale. As a result of politicos occupying the positions of Chairman and Secretary of the party will result in forced cancellation of appointments, in procrastination of some others, and in an inevitable sense of prejudice running into his decisions and because he would be forced to safeguard his vested interests. Whichever way one looks, it is more than obvious that the present arrangement is not conducive to a just, fair and beneficial arrangement for the Party. If one does not accept such an obvious truth, it is more than tragic. It is treacherous. As far as the official SLFP is concerned, it is even worse. The Sri Lanka Freedom Party does not have any example to follow. It never had a leader who could see far enough- in the broad context of the country’s advance in democratic principles and structures- to establish a system where there is always room at the top. The SLFP is a political entity that has been centered on family rule. After the Bandaranaikes, it revolved around the Rajapaksas. Holding subservient attachments to the Man or Woman at the top and currying favor with other members of the ‘First Family’ was a readymade passport, not to climb the hierarchical ladder of succession, but to receive residual good-effects, or more bluntly put, bones with a residue of meat. 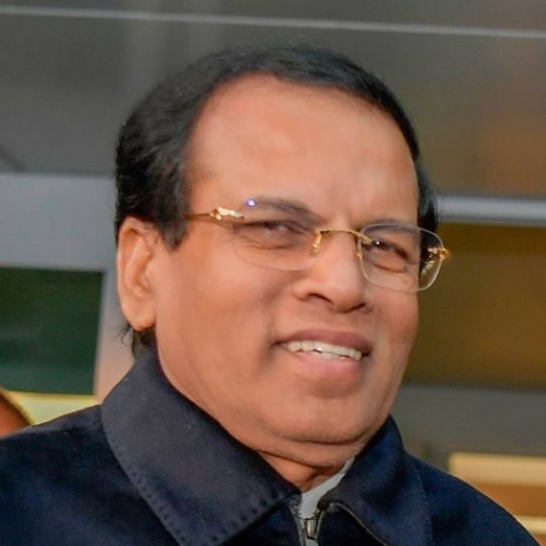 Maithripala Sirisena did not become the leader of the SLFP in a succession struggle. His capture of Presidency, thanks mainly to the UNP, Tamils and Muslims in Sri Lanka, after defeating the then leader of the SLFP, paved the way for him to be named the leader. The recently concluded local government elections passed a different kind of verdict on his leadership. The Family-oriented party decided that it would remain so- a party leadership stubbornly entrenched in family rule. The grassroots of the SLFP decided that they would rather be led by a set of family members, however corrupt and dishonest they are. But the cruel truth is that the majority of Sinhalese Buddhists are with the ‘Family Rule’. Such clannish tendencies on the part of our main component of population, its obstinate allegiance to a cult of personality were broken in 1977. But that was after a long, cleverly structured drive led by strong and unbending personalities who were willing to make enormous and unthinkable sacrifices. Genghis Khan once stated that “It is not sufficient that I succeed, all others must fail”. Leaders in any field, whether in politics or any other must follow that recipe. That is the core element in JR Jayewardene’s leadership. He not only succeeded. He also saw to it that others failed. Such results are reaped in whatever circumstances, whether in a context of social media and instant news being available to all or not, with devotion to a selected way of pursuit without ‘taking prisoners’ along the way. It is not possible to win elections without hard work. Both the UNP and SLFP realized that unpalatable political dynamic at enormous cost to themselves. For the UNP, it is palpably clear that, in order to attract a majority of the Sinhalese Buddhist voting bloc, needs to indicate, in whatever manner the leader chooses, to name as to who is going to succeed Ranil Wickremesinghe. A clear indication is of paramount significance, especially in the context of the murky picture that has been painted around the Ranil Wickremesinghe, the current leader of the UNP. The delay in bringing justice to the wrong-doers of the last regime is very much in the mind of the voter. The very platform on which the current President was voted in and a majority of UNPers elected to parliament was this nagging demand of the voter, punishment to the Rajapaksas who attempted to perpetuate a corrupt family clan in power. The core of the public demand needs to be satisfied. There’s no doubt that the Prime Minister took over the Ministry of Law and Order on a temporary measure. There’s still hope that this Ministry would end up in the hands of a person who is a proven deliverer. The illogical thinking and the disconnect continues with the yahapalana apologists. If punishment to the Rajapakses is a nagging demand of the voter, can these buggers explain why overwhelming majority of the majority community voted for Rajapakses yet again in this LG elections? Why do Rajapakses possess the largest voter bloc in the country (even without power at the center)? Vishvamithra: Is it true tht Kiriella had said, what is given by Mahinda Rajapakse govt, Contract -Tender offerings, Collections from Treasury Bill earnings. of the UNP party, at prtesent, amounts to 40,000 crores and that is what their books say. Vishavamithra: This is supposed to be the true version of the story. Ranil wickramsinghe has asked Asked MODI for people to work in Sri lankan banks (Central bank ?).. Modi has said, IF you don’t trust your men how come you can trust our men. This story should be the very close to the truth. 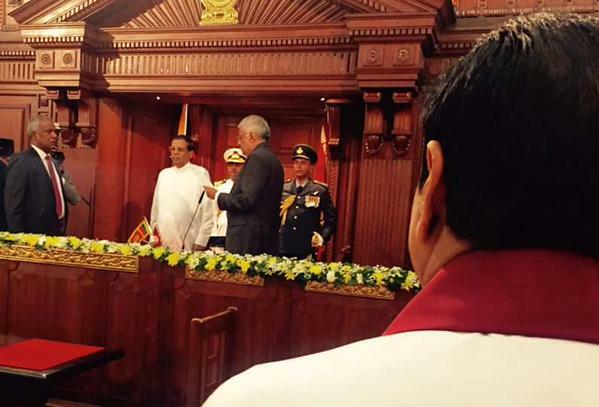 Anyway, Ranil had gone speech less. I think Ranil himself had told and some peoplel were over hearing. Vishwamithra, The players in the chess game are from the Lankan majority community and so are the Kings & Pawns. The disturbing part is the onlookers – Lankan Armed Services and Police. The players are scared to make a move which may annoy the Army and/or police. There were three articles in CT about the 2012 Welikada Prison massacre. The chess players are silent and this says a lot!